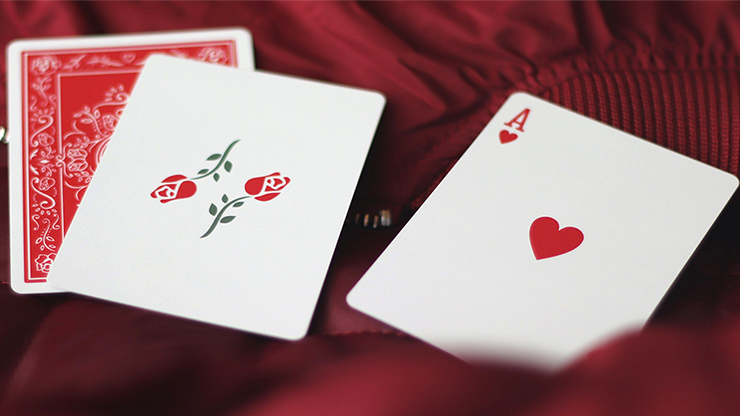 The Red Roses Playing Cards are finally here. Almost exactly one year after the very first Black Roses Playing Cards were released. 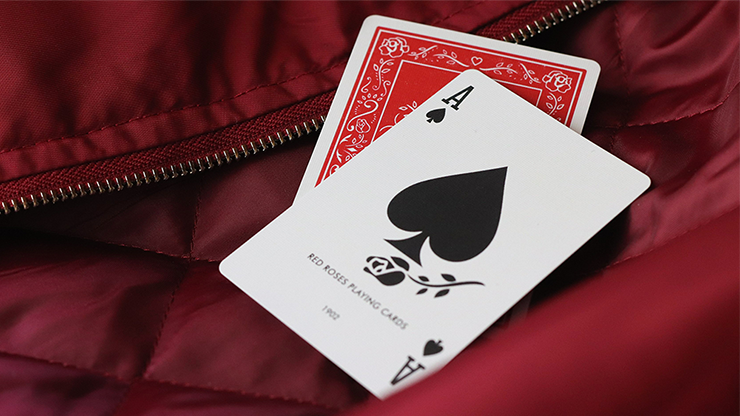 Daniel's fascination for playing cards from the last century reflects more than ever in this deck of cards without losing the current zeitgeist. Along with the Orbit deck, the Black Roses and the Innocence Playing Cards, Daniel has here created yet another piece of art in a short period of time, proving quality and quantity don't exclude each other. 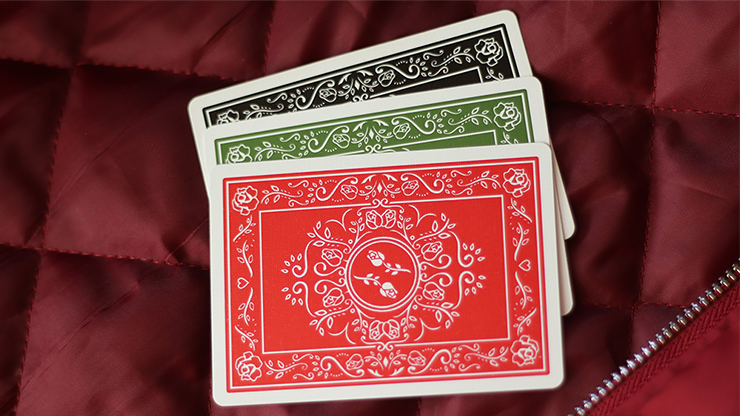 Each pip and court card in the Red Roses Playing Cards has been completely redesigned. 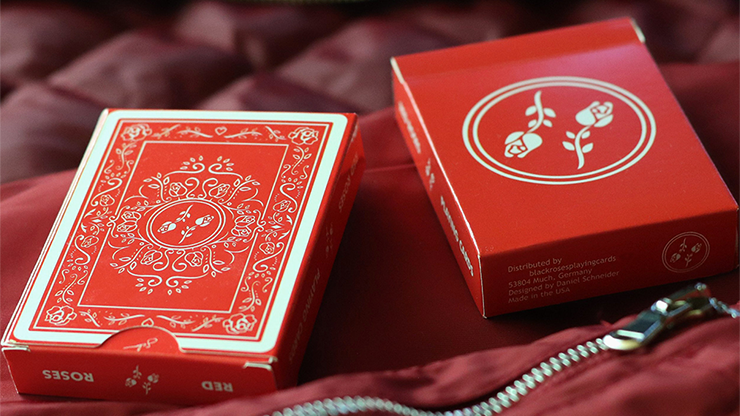 To maintain the classic look and feel, Daniel first focused on old, vintage playing cards. Only a real playing card enthusiast would notice the difference at first glance. This is a positive feature, especially for magicians who don't want their audience to believe that it is a tricked deck. Smooth and clean lines give the vintage red drawings a modern twist. The ornate red back design makes it very interesting to look at without feeling overwhelmed by excessive and unnecessary clutter. 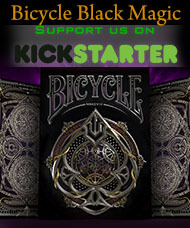 The deck comes with 2 identical Jokers, a 2 of Diamonds duplicate and a double backer. Perfect for your magic routines. Printed by the United States Playing Cards Company on classic crushed paper stock with Air-Cushion-Finish and traditional cut.